WE GET TO KNOW CHMBRS & PREMIERE HER NEW SINGLE ‘RABBIT HOLE’! Join us as we Get To Know CHMBRS (pronounced Chambers). 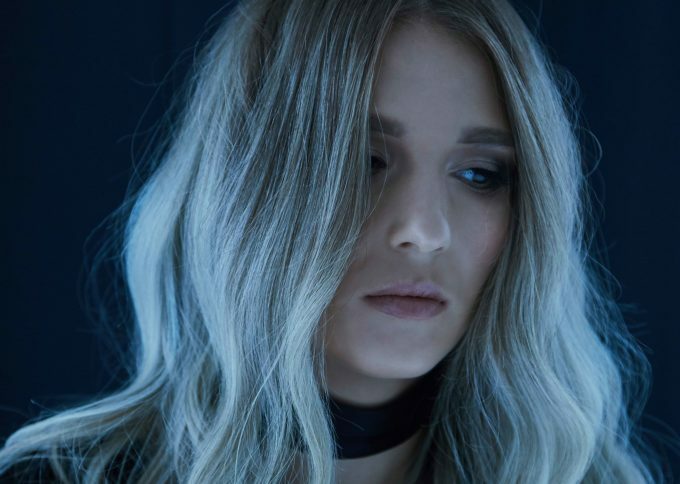 She’s a fresh new act out of Victoria who tomorrow drops her debut single ‘Rabbit Hole’. Not only do we Get To Know her today, but we’re also thrilled to be premiering said debut single. ‘Rabbit Hole’ is a sensational, cool, dark electronic pop number that tells the story of overcoming bouts of negativity and self-doubt. But there’s a great back story here too… from her development as an artist to her favourite artists and song. She also tells us what she likes to do in her spare time away from the studio. Suffice to say, we’re not thinking of messing with her any time soon. So without further ado… let’s get to know CHMBRS. 2. Where are you based? Mornington Peninsula, Victoria. 3. How did you get your start in music? ​I found music when I was about 11 or 12 years old. I begged for lessons after seeing a piano for the first time and from then on I started learning flute, guitar, saxophone, piccolo, singing. I was a really fast learner and I loved everything about music. It’s probably this trait that has pushed me to teach myself production and composition. I started to write at about 16, but only started to showcase my originals at 21. 4. Give us five words to best describe you as an artist. ​Curious. Empathetic. Driven. Emotional. Uninhibited. 5. Tell us a little bit about your sound and how it developed. ​It took a really long time for me to embrace my own ‘sound’ and ‘voice’. It really only came about when I pushed myself to write. Just over the last couple years I’ve built upon the relationship with my voice, I used to hate the way I sounded and didn’t think I had any attributes that made my voice and music unique. As I started to writing more, my voice found a natural place inside the melodies and phrases. As my voice relaxed it deepened and warmed up and so I began to embrace my lower range. In the studio, we worked hard to find the ‘sounds’ that really embraced ‘CHMBRS’. We really took our time with it all, every new synth we’d work through had to have this brooding and powerful nature whilst keeping a really emotional feature to the songs. I really, truly enjoyed working on my EP! 6. Who have been your musical influences? ​For a long time I’ve loved Foo Fighters, Pink, Muse, Adele, Amy Winehouse. But as the years have progressed, I’ve found ‘younger’ musicians as new influences. Ones who have inspired my upcoming EP such as Lapsley, Meg Mac, Broods, Halsey, Banks and Kevin Garrett. 7. What are your favourite songs of all time? ​I get told I’m super lame for this and it’s so far from my style but honestly, my favourite song is ‘Uptown Girl’ by Billy Joel. That song just seriously makes my day, I’ll always jam out to it in the car at the top of my lungs (actually literally anytime I hear it). Such a great song!!! 8. What was the first album you bought? ​​​I don’t remember the first album I bought… but I remember one of the first albums that was bought for me and it was Panic! At The Disco’s ‘A Fever You Can’t Sweat Out’ album. Their concert for that album in Melbourne was also the first music show ever went to. 9. Give us a little fun fact about yourself that people might not know. ​I really, really love boxing. I’ve only been doing it for the last two years but I commit to one-on-one fight training, several times a week with my coach Dean. I’ve been very tempted to get in the ring more than once but my music has always taken first priority. 10. What would your chosen career be if music wasn’t an option? ​Hmmm, I’ve always been really interested in studying speech pathology. The human voice is pretty crazy, there’s so much to know and it would still be a way for me to give back and help people through voice. 11. What’s the best advice you’ve been given in your career? ​”It’s not a race/Don’t compare yourself”. Sometimes the music industry can seem so glamorous and you can’t help but want to rush into everything. It was insane, after I hit 21, I thought, ‘Okay I’m too old to do this now, there’s 15 years olds doing it better than me’, and I shut myself down a lot. The best thing I’ve learnt is patience and taking the time to really put yourself into your craft. There’s no imaginary age limit to succeed and it doesn’t all have to happen right now, straight away. It’s so hard not to compare yourself, trust me I get so stuck in it but theres no point – it’s not a race, you don’t have to be perfect, you just have to be you. Music isn’t a competition. Trust yourself and do you. 12. Tell us about your latest release. ​It seems pretty surreal how quickly it has come around! From the day I wrote it, to people finally getting to stream/download it from home, insane. ‘Rabbit Hole’ is a very intimate view into my brain and how I was viewing my life at that time – I felt I had no one, no purpose and no idea what I was doing. Which we can all get like sometimes, especially went you’re still in your dramatic and emotional years. I originally wrote ‘Rabbit Hole’ for myself from the perspective of ‘What kind of artist am I going to be?’ but it bloomed into a much broader journey of identity and purpose. Producing and recording my own original music for the first time was such an incredible feeling and I’ve honestly felt so liberated by it. I’ve worked with some amazing people on this and I am proud as punch to release it. I know I put a lot of heart into this track and I hope it helps a lot of people out of the dark, to help them know that they’re not alone in it. 13. What do your future plans involve? ​I have so much I want to do. There’s a lot of projects I want to work on such as learning more in the production/composition side of the industry. I’d love to travel and take my music international, play some festivals and collaborate with more writers. This is really only my beginning and I’m just so excited for the next chapter. 14. Where can our audience catch you live? ​Currently just gigging around Melbourne at the moment. A show here and there. I like to keep my appearances mysterious, so the only way to found out about them is to follow my Facebook page!